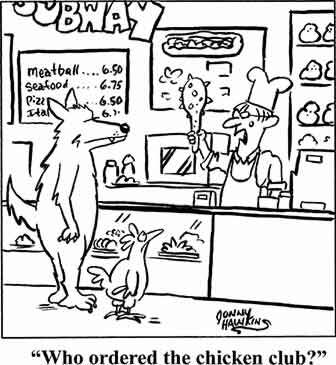 Rats can be a real problem for the poultry keeper. They are a fact of life that cannot be easily avoided and it is important to have a good strategy in place for controlling rats around chickens and other poultry. It is not unusual for a pair of rats to be able to produce a thousand descendants over the course of a year. They will cause an incredible amount of damage to property, poultry, and feed, not to mention the disease carrying potential. Damage to electrical wiring is the number one cause of electrical fires on farms in the UK. The most common time of year that people notice a rat problem is as the weather turns cold in the autumn. Rats will move in if there is shelter and a supply of food. Rats prefer to live in log piles, mud banks, and under sheds and buildings. Poultry houses that are placed on the ground are a very popular residence for rats and many poultry housing manufacturers make houses that are raised off the ground to avoid this common problem. Note: The Prevention of Damage by Pests Act 1949 places an obligation on owners or occupiers to control rats and mice on their property and to inform the local Council of infestations. Local Councils have powers to ensure that rodent control is carried out and may serve enforcement notices on land owners. If rodents aren’t eradicated then powers are available for them to carry out the works required directly and charge the costs to the owner. There are several rat traps available on the market from wire cage types and spring traps to electric rat ‘zappers’. 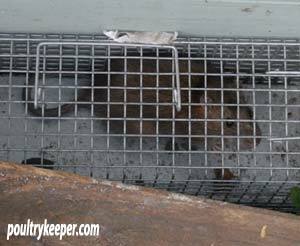 These different types of trap use different methods to trap or kill a rat but they have one thing in common, the rat needs to go into or on the trap which can be difficult to achieve. Even then, sometimes there seem to be a few ‘wise old rats’ that are scared of new things in their environment and just won’t go into the trap! Set traps in rat ‘runs’. Rats always run next to walls, fences or buildings for cover. Rats use smell and touch to feed. Wear gloves when setting the trap so you don’t leave your smell on the trap and ‘rough’ the trap up with some mud that is local to where you are setting the trap to take some of the new smell away. Ensure traps are inspected regularly but not disturbed. Once set, it can take a week or even two for the rat to go in to it to investigate. If you can, let them have a free meal or two out of the trap – this will put their smell into it which will attract others in once it is set into action. A good rodenticide in the right places can really help to bring the population of rats under control fairly quickly compared to a single trap that can only catch one rat at a time. Choose the right type of poison. If you are concerned about other animals eating the poison either directly or indirectly (by eating a poisoned rat for example) then choose a multi-feed bait (one that contains difenacoum for example). These require a few good meals of the bait before it is effective and also has an antidote (Vitamin K) that can be given by a vet should the need arise up to a few days later. Position the poison correctly. Stuff poison down rat holes and seal the entrance with a brick or two. Place poison in tubes or bait stations against the sides of walls or buildings. Record these positions – it is easy to forget where they are weeks or months later and you will need to dispose of any uneaten bait. Keep the poison topped up so that enough poison is consumed by enough rodents. Maybe not what immediately springs to mind as a control option but rats need certain things to thrive and if these aren’t available, you will be controlling the numbers! Keep food sealed in rat-proof bins. This sounds obvious but plastic bins get chewed through very quickly. Rats consume 25 – 35g per day but spoil far more than this with their droppings and urine. 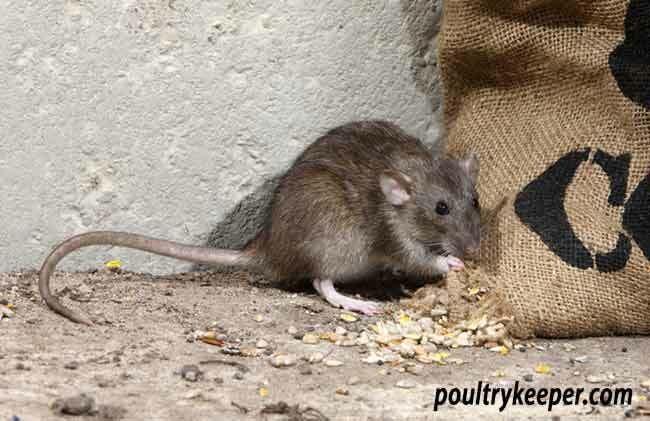 A colony of 100 rats is not uncommon where there is an outbreak, and with the current price of poultry feed, you’ve paid for a galvanised rat proof bin in no time. Remove feeders at night, or use a rat proof treadle feeder. Rats are nocturnal – don’t feed the enemy! Rats need water on a daily basis. 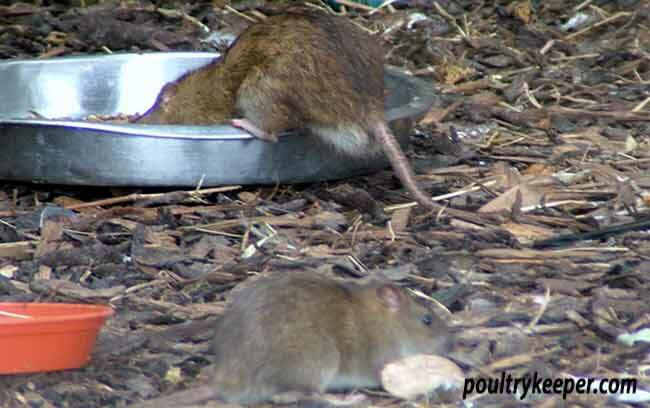 Try to limit available water sources and remove or empty poultry drinkers and duck baths at night whilst there is a rat problem. Keep poultry feeds in rat-proof bins. Finally remember handle rats with disposable gloves on – they can carry some nasty diseases. I would never have believed this but a local farmer picked up a dead rat in his yard, contracted ‘Weils Disease’ and died in hospital a few weeks later. So be careful when handling the dead bodies. With a proper control plan in place, using the right methods, it is possible to control rats around chickens and other poultry but it requires some thought and planning and ongoing observation before their numbers get out of control.